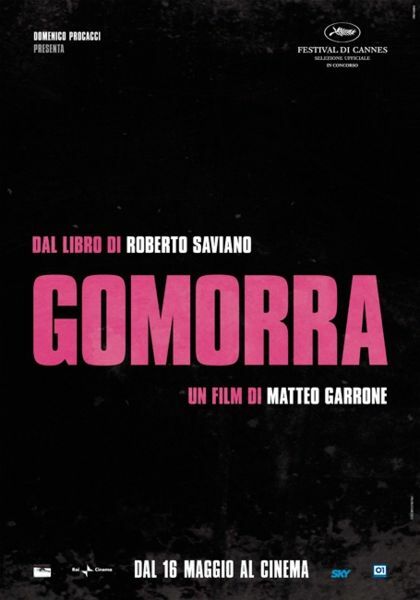 A new Italian film which interweaves several stories of people involved in the organised crime world of Naples, known as the Camorra. Following in the footsteps of several other recent European films it uses a documentary style of film-making with strong use of handheld cameras, a realistic soundboard and absence of added music. The film builds in intensity slowly, following the lives of several youths in the slums of Naples, a struggling Tailor and a young man working for a Toxic Waste Disposal company. Ultimately all of the characters will be affected by the crime ring, and we see how the corruption, drugs and gun running lead to the break down of society. A timely film reflecting the state of New Europe. 4/5.